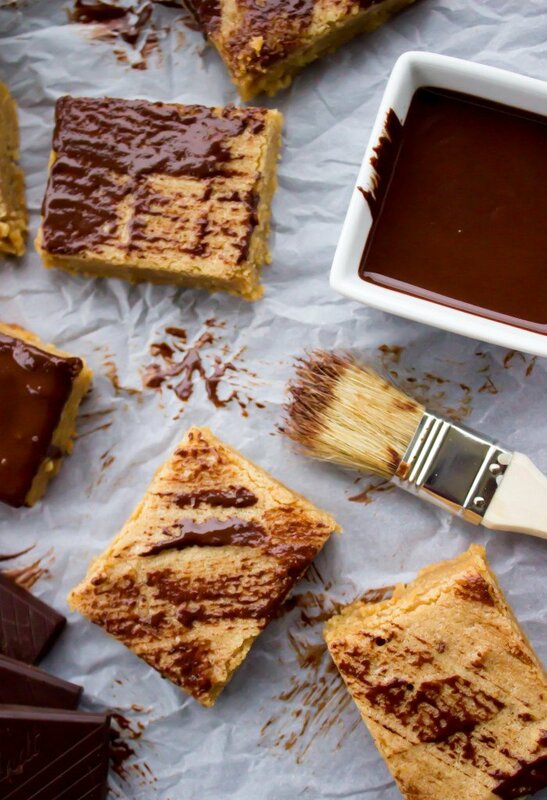 Soft, chewy peanut butter flavored blondie bars are thick and chewy and chock full of peanut butter–then gently brushed with premium dark chocolate. The workday, that is. That last 8 hour stretch before the magical couple of days formally known as the weekend can begin. 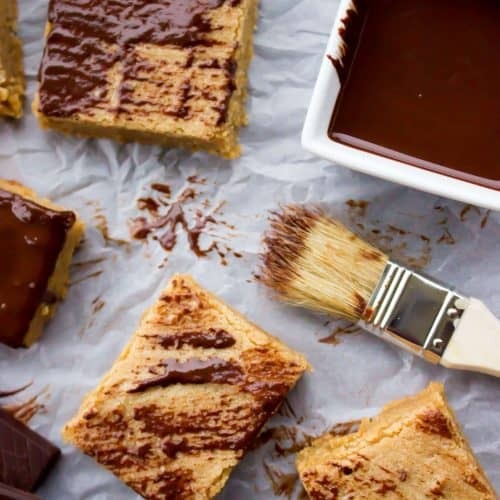 Only 8 hours (hopefully less than that, by the time you’re reading this) separates you from freedom (granted you have the same schedule as me), and hopefully by the end of this post I’ve convinced you of the absolute necessity for you to immediately go home and make these peanut butter blondie bars. Why? Because they are incredible, they are easy, they are simple to make and heavenly to consume. Thick and chewy, chock-full-of dreamy creamy peanut butter and oh-so-artfully (or maybe not-so-much, let’s be honest) brushed with premium dark chocolate for that final, perfect flair. Maybe, if you’ll look closely you’ll notice the fine sprinkling of crushed sea salt scattered over the surfaces of these squares. 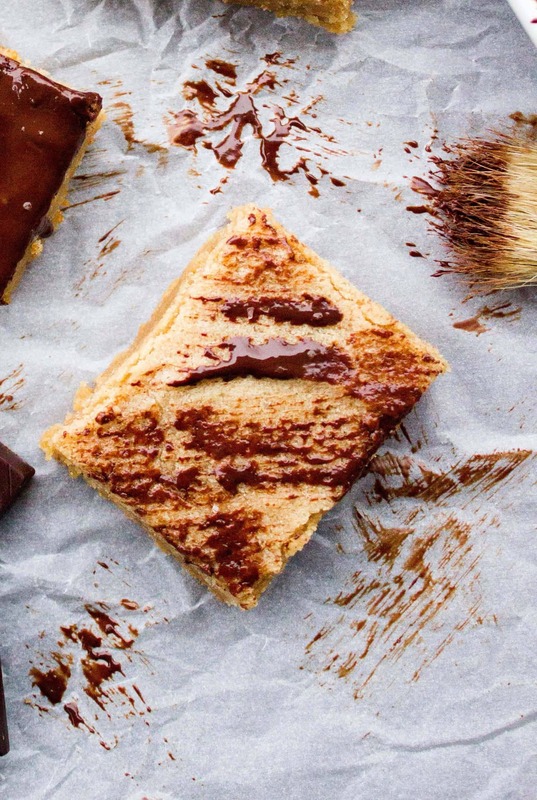 I ultimately omitted the sea salt from the final recipe; while I’m usually a fan, I felt that it didn’t add much to the peanut butter bars (which already have naturally salty undertones to them thanks to the peanut butter). Feel free to experiment with a sprinkle or two if you’d like, though. I hate to use the word moist (if only because I know so many people dislike it) but I don’t really know a way around it to properly convey the texture of these bars to you (“damp”, “sweaty”, “slightly wet”, all of these are significantly less appealing and none have quite the same connotation). 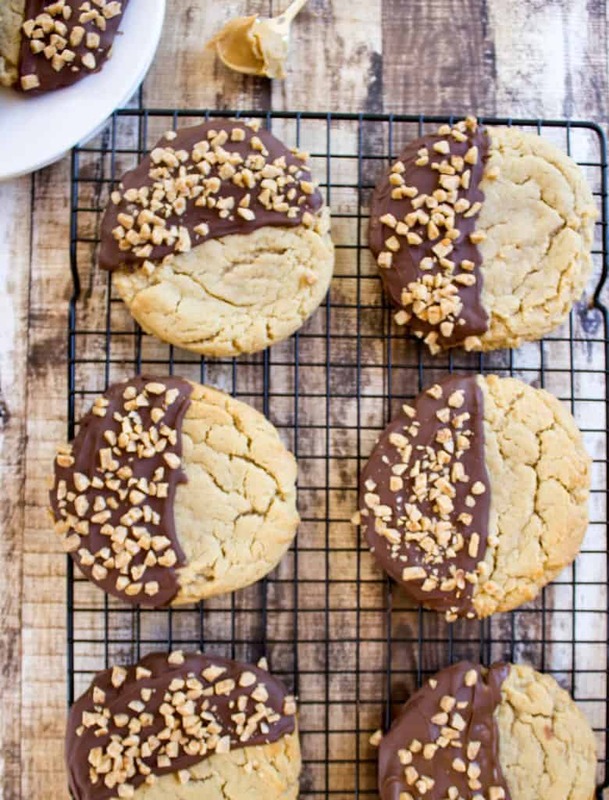 They are soft, definitively moist, heavy with peanut butter so that they hover right on the line of appearing underbaked (which generally tends to be the line that I strive for when making baked goods). 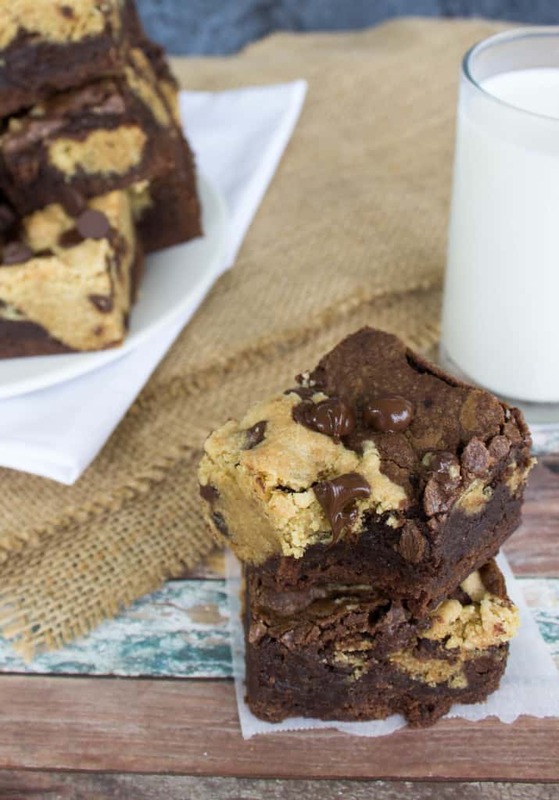 They are a delicious way to enjoy peanut butter without making cookies, a twist on basic brownie bars, and they are, very, very easy. Happy Friday, I hope your weekend is care free and peanut-butter-y (um, unless you’re allergic, of course…!). Preheat oven to 350F and line 13x9 pan with parchment paper or with foil sprayed lightly with no-stick spray. In KitchenAid or with electric hand mixer, cream together butter and peanut butter. Beat in sugars until well-combined. In separate bowl, whisk together flour, baking powder, and salt. Gradually, on low speed, add flour mixture to peanut butter mixture, pausing occasionally to scrape down sides of bowl. Cut and brush with melted chocolate, if desired. Creative Sam! I love the brush effect! My all time favorite combination! Oh wow! These blondie bars look droolicious, Sam. Can’t wait to try. The bars look delicious, I would love to try them. What is sweet cream butter? I suppose I can use normal butter instead? These look so yummy! and loving the chocolate brushed on top! These are a perfect treat. I know you might not believe me but I’ve never made a bond bar before in my life. THIS is the one I am trying! 🙂 Pinning! Happy weekend Sam! I love that these are brushed with dark chocolate. I mean, that’s when food really becomes art!! So beautiful and it looks delicious to boot. I am totally with you girl, bring on the weekend! 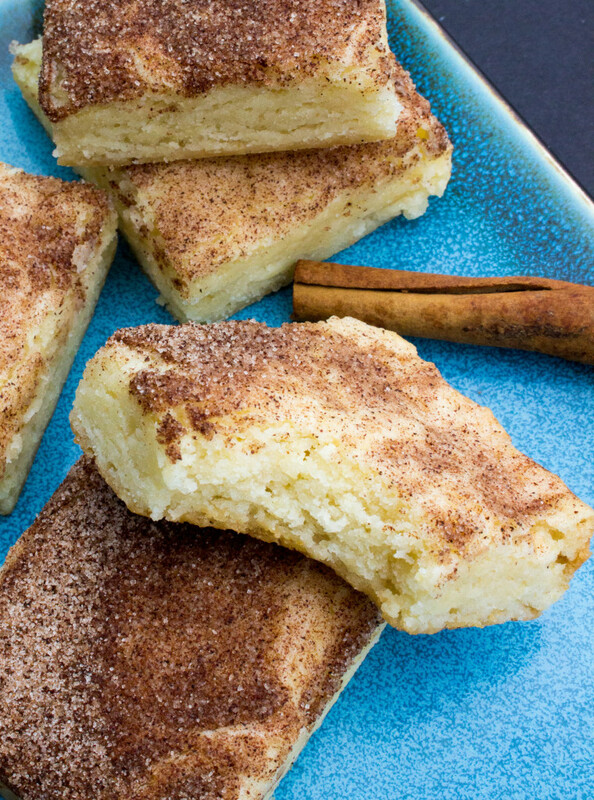 AND bring on these delicious blondies!! I am ALL about the blondies (and not just because I am one!)! 😉 They are my favorite! But add some peanut butter? Heck yes!!! Loves it! Pinned! Cheers, girlfriend! To a fabulous weekend! 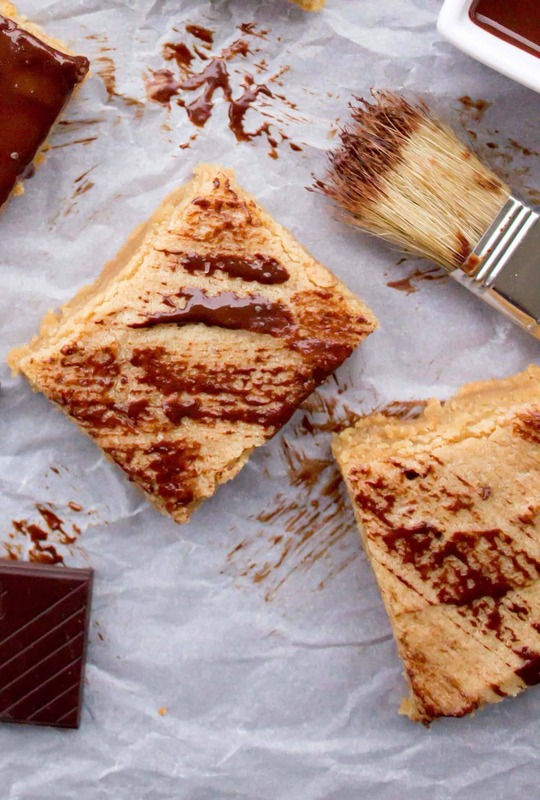 Now these are my kind of blondies – peanut butter and chocolate! Yum! 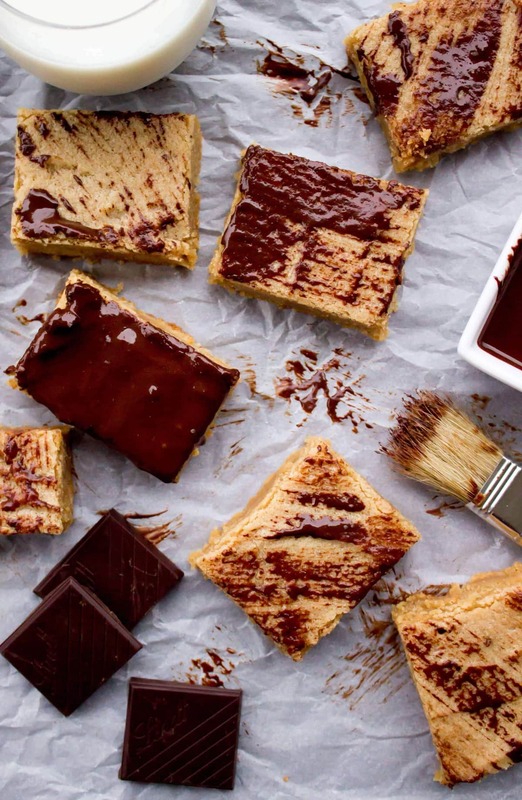 These blondies look great! And I love the chocolate brushes over the top. Looks very snazzy!